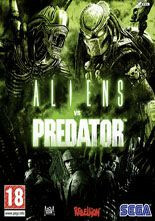 Bringing the legendary war between two of science-fiction's most popular characters to FPS fans, AvP delivers three outstanding single player campaigns and provides untold hours of unique 3-way multiplayer gaming. Experience distinctly new and thrilling first person gameplay as you survive, hunt and prey in the deadly jungles and swamps surrounding the damned colony of Freya's Prospect. - As the Marine, you'll experience a claustrophobic and terrifying experience where light is your friend, but there's never enough. However, the United States Marine Corps are humanity's last line of defense, and as such they are armed to the teeth with the very latest in high explosive and automatic weaponry. - As the Predator, you will stalk from the shadows and from above, passing athletically through the treetops to ambush your victims. Although equipped with an array of powerful, exotic weapons and tracking equipment, honor ultimately dictates that you must get in close and take your trophies face to face. 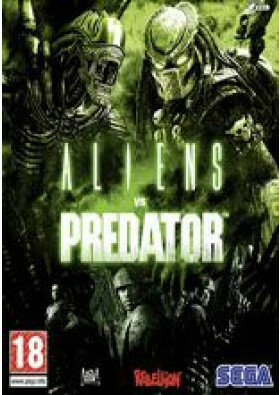 - As the most deadly species in the universe, the Alien offers you the chance to play as the very stuff of nightmares - the monster in the dark swarming forward with countless others, jaws like a steel trap and claws like blades. 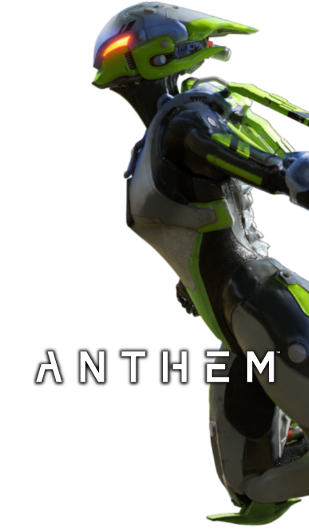 - Play all sides off against each other in a series of unique 3-way online modes and go tooth-to-claw-to-pulse rifle in the reinvention of one of multiplayer gaming's defining moments.